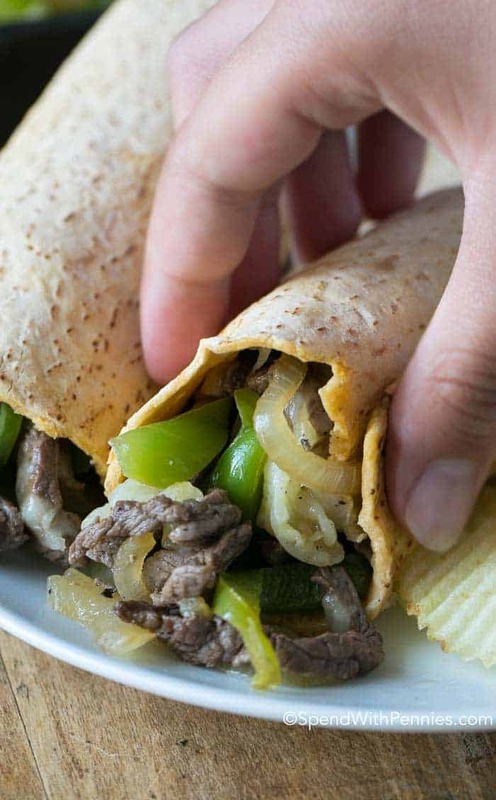 These delicious Philly Cheese Steak Wraps feature tender beef, caramelized onions and juicy green peppers all smothered with melted provolone cheese. This combination makes the best Philly Cheese Steaks you’ve ever tried and they’ll be requested over and over again! 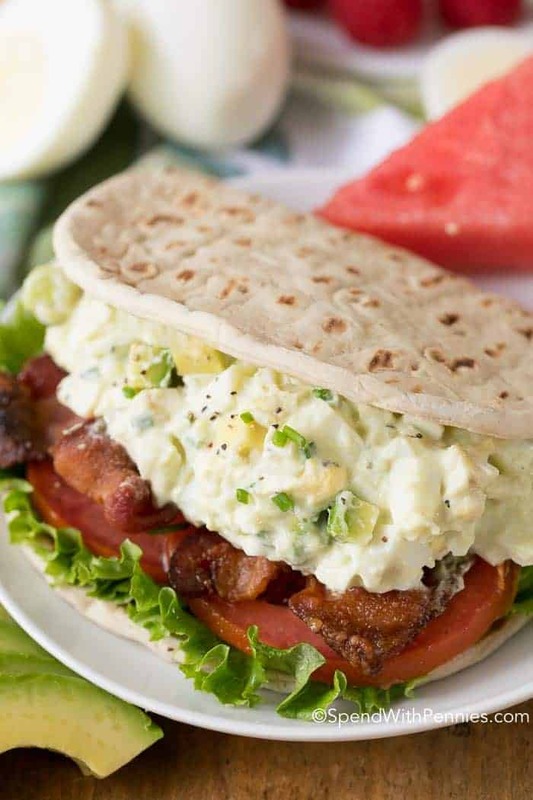 I am so excited to have partnered with Flatout Flatbread® to bring you this belly warming recipe. What makes the best Philly Cheese Steak? 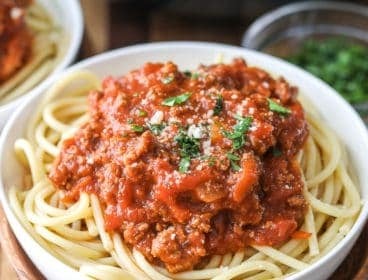 Using the absolute best cut of beef of course! A lot of people wonder what kind of beef to use in a Philly Cheese Steak. I like to use the king of steaks – the Ribeye! It has the perfect amount of marbling and it really is the most beautiful beginning to this wrap. Other great choices include a flank steak, skirt steak or even sirloin. The easiest way to thinly slice your steak is to put it in the freezer for 30-60 minutes before you slice it. This keeps it nice and firm allowing for it to be cut paper thin (and remember to cut across the grain). There seems to be a debate as to what cheese is meant to crown the prized Philly Cheese Steak. 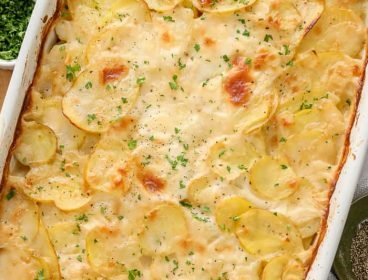 White American Cheese and Provolone seem to be the top favorites, perhaps because of their light flavor and creamy consistency. Surprisingly to me, another common and beloved cheese topping is Cheese Whiz! 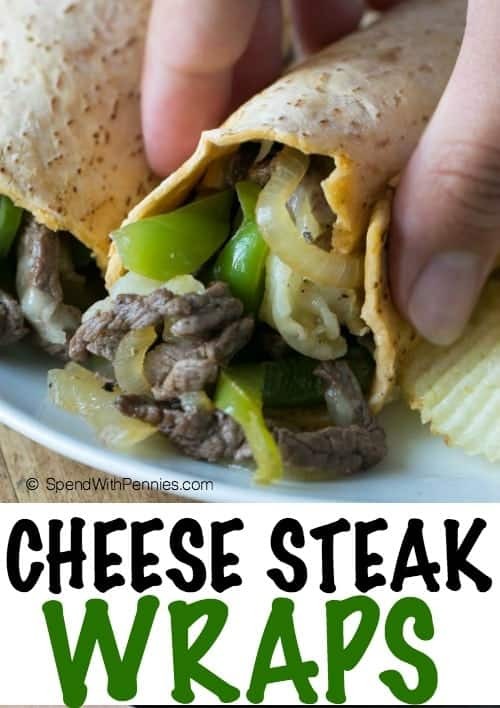 This Philly Cheese Steak Recipe calls for Provolone which I absolutely love as I tend to prefer a mild cheese – I don’t want to overpower that fantastic beef flavor! A traditional Philly Cheese Steak is usually beef, peppers onions and cheese on a roll. As much as I like a traditional Italian roll or hoagie sometimes I just prefer not to fill up on so much bread. 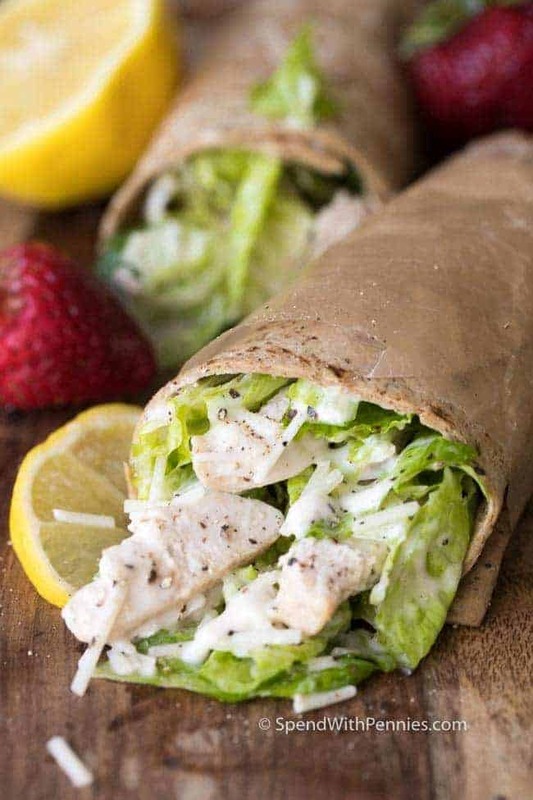 I decided to make this recipe into a wrap and the results were spectacular! 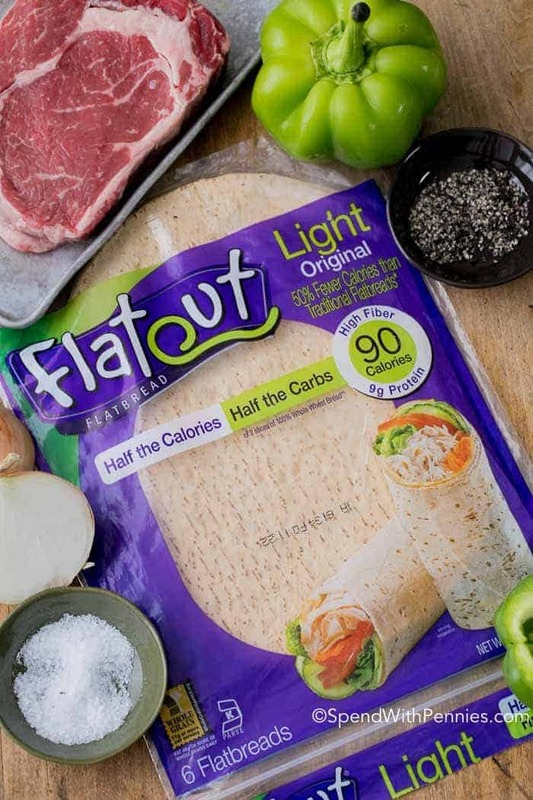 I use Flatout Flatbread (I love using Flatout Light with less calories and half the carbs for this wrap). 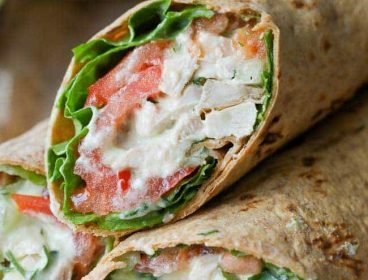 It’s soft and easy to roll, it’s a great way to wrap up all those luscious ingredients and hold in all of that melty cheese! You can find Flatout near you here. 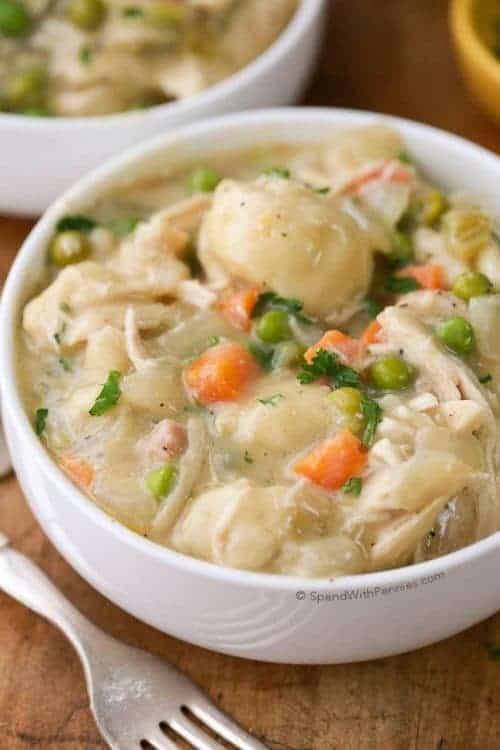 While I use just onions and peppers in this recipe, mushrooms (or even a few jalapeno slices) make a delicious addition. Of course you can include red or orange bell peppers and even a bit of mayonnaise or mustard on your wrap if you’d like. Really, there are no rules; follow your taste buds and create your own unique wrap. 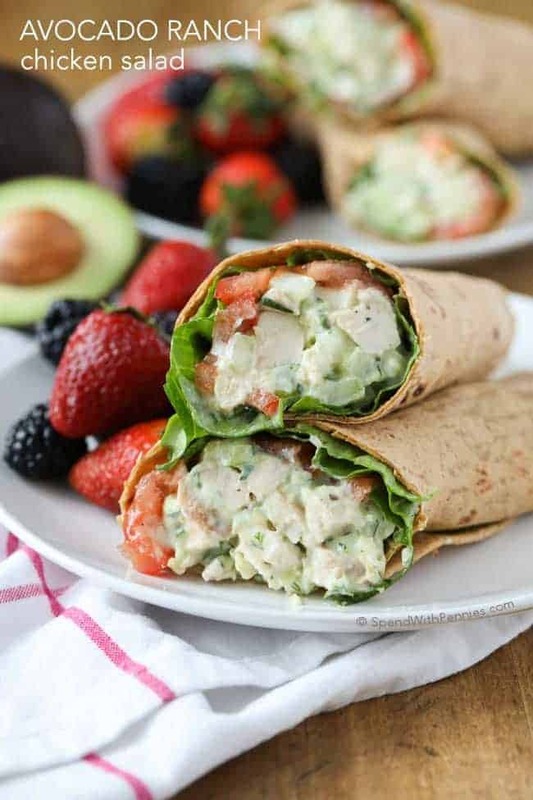 What do you serve with this crowning glory of a wrap? 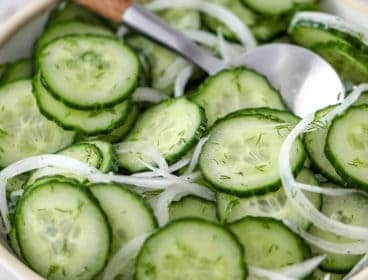 There are many options from salads to soups; Cucumber Avocado Salad is the perfect side dish. Whether you want to stick to a traditional philly cheese steak toppings or you want to jazz things up a bit and create your own variation, you will can’t go wrong wrapping it all up in a Flatout Flatbread! 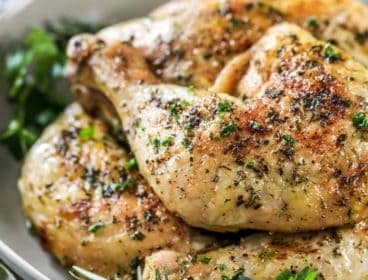 Simple yet so delicious and different, you will enjoy every bite! 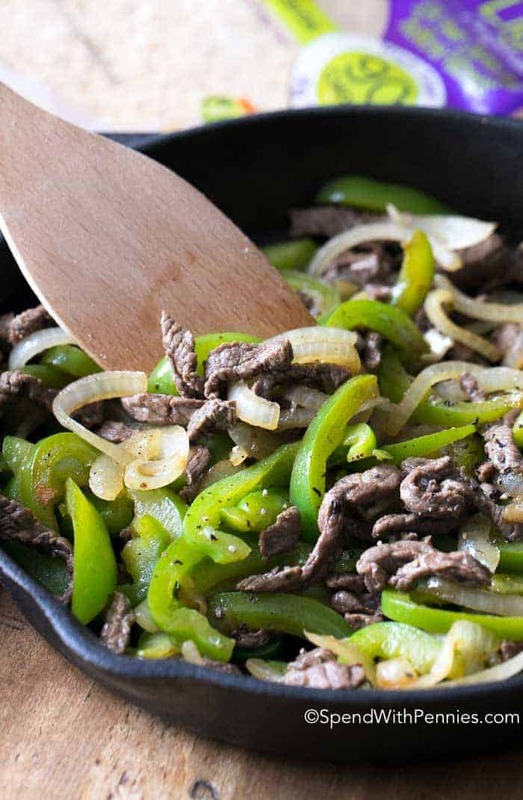 Tender juicy beef, caramelized onions and crisp green bell peppers all smothered in melted provolone cheese and wrapped in a soft flatbread make the perfect lunch or easy dinner! Place steak in the freezer for 30-60 minutes. 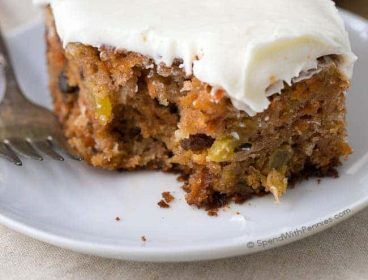 Remove from freezer and slice as thinly as possible. Heat a cast iron skillet (or large pan) over medium-high heat. Add 1 tablespoon olive oil, peppers, onion, salt & pepper and stir until browned and tender. Push off to one side. Add remaining olive oil, thinly sliced beef, salt & pepper. Cook about 2 minutes or until almost no pink remains. Add garlic, stir in peppers and onions and cook 1 minute more. Top the beef mixture with cheese and cover until melted (about 1 minute). Place 1/4 of the mixture on each flatbread, roll and enjoy! Working with great brands I love allows me to keep bringing you the great recipes you love! Thank you to Flatout for partnering with me on this post. While I was compensated for this post, all thoughts and opinions are my own. These were awesome! My partner was making happy noises while eating them. Definitely become part of my standard dinner constellation. this was great..we tried it the other night and enjoyed it! Thank you for sharing!